Lucy styled my wedding makeup and hair for my January 16 wedding. She was such a joy to work with,, from our very first interaction. She is professional, responsive but, as all the other reviewers have noted, fun and easy and made everything enjoyable. Although I’ve lived in NYC for 15 years, the whole bridal scene in the city was a big turn off. Stylists nickle and dime you for every little thing and it was growing tiresome to just do the research to find a reasonable stylist for normal people. Lucy is definitely the go-to gal if that’s your desire! I wanted a more natural look and wasn’t sure about the whole airbrush makeup concept. She convinced me I didn’t have to look like a Kardashian to wear it and it was a great decision. I was a bit clueless what to do with my hair, so she listened patiently, looked at my every-growing Pinterest board, and we tried several styles. As we got closer to the wedding date I finally settled on a look that wasn’t part of the trial, and she pulled it off flawlessly. Best of all, being the fabulous Brit that she is, she knew exactly what to do with my bridcage veil a friend created. We had tried several looks but it just wasn’t coming together and I wondered if we should move to be plan B veil. 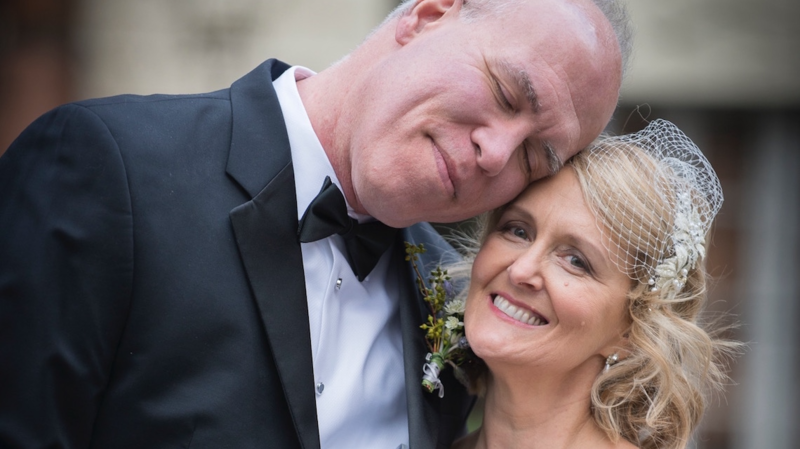 She wrangled it (can you use that word to describe a bridal veil?) and came up with the perfect effect. She also did a great job on my mom, who looked so beautiful. 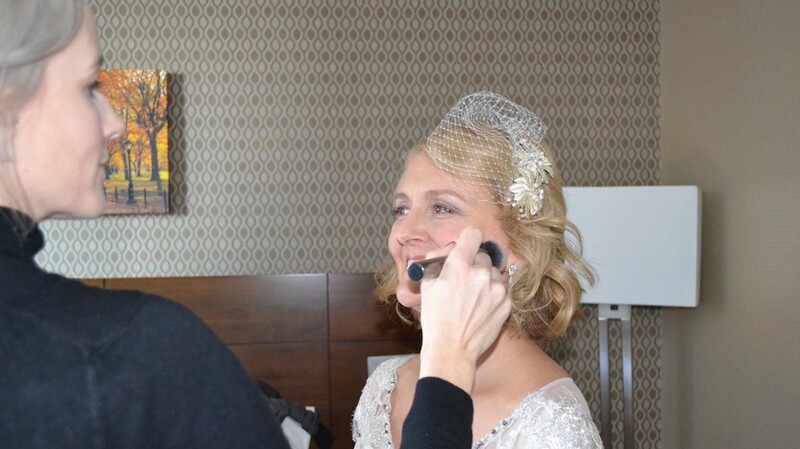 She made the “getting ready” part go so smoothly and on time and added to a great start to the wedding day. Thank you, Lucy!